With more than 30 years’ experience as a clinical practitioner, Paula Raymond- Yacoub will present ‘Integrative acupuncture Level 1’, which is made up of face-to-face and self-directed learning from June to September 2019. Attracting 100 CPD hours, the integrative acupuncture (IA) course brings Oriental theories and science together in a way that physiotherapists, particularly those who focus on musculoskeletal disorders, can apply to clients while also reducing the need for intensive manual therapy. 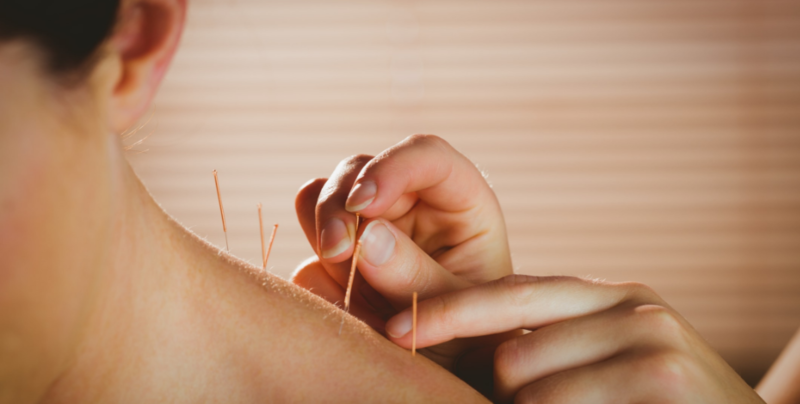 The beauty of acupuncture is that it not only modulates pain but very importantly provides a means to regulate the autonomic nervous system, which differentiates it from dry needling (DN). So this capacity to affect biological processes leads to a multitude of benefits including mood, digestion, sleep, energy levels and the quality of tissue, especially the fascia. IA offers diagnostic processes that are not found in DN. What is achieved by most types of DN can be achieved much more subtly with IA, making it more comfortable and relaxing for the patient. One very important benefit to the therapist is that it allows them to change tissue without the need for intensive manual therapy. In learning and practising acupuncture for nearly 30 years, I have considerably changed how I understand acupuncture. Many people coming from a medical model, find the language of Oriental medicine nonsensical and unscientific, so they reject it in its entirety. For others, perhaps its exoticness and mystery is its appeal and they slavishly follow all of the theories. I find myself somewhere in the middle. I have attempted to bridge these two paradigms in how I present IA, hence its name. Oriental medicine is presented in metaphorical somewhat poetic language reflective of the culture and era that it evolved in. However, if we look closely, many of these theories have congruence in current physiological understanding. For example, if we look at the notion of the yin and yang that underpins acupuncture, its basic premise is about opposing energies mutually benefiting and regulating each other. In addition the natural rhythms of expansion and contraction (emptying and filling that occur); therefore balance between the sympathetic (yang) and parasympathetic (yin) nervous system can be understood in yin and yang terms. Other examples might be inhalation (yang), exhalation (yin), systole (yang), diastole (yin), contraction (yang), relaxation (yin), the agonistic action of hormones and neurotransmitters that cause excitation (yang) and sedation (yin), to name a few. Another odd theory is the notion of Qi, which has been described as an invisible energy that circulates through the body. qi is understood as a thing or a noun. My understanding is that qi is actually activity, or metabolic processes, so it’s really a verb. If I was pushed into a corner and had to give a plausible scientific explanation for qi I’d say it’s something very close to oxygen and the Krebs cycle. Even the idea of meridians, as it is understood currently by many acupuncturists, is based on a very poor translation of the classical texts by a French bank clerk working in China. The term more accurately translates as vessels. We accept the idea of latitude and longitude as useful references to denote locations on earth. It’s much the same with these so called meridians in acupuncture, meaning zones on the body. So we can use some of oriental medicine’s theoretical filters confidently knowing that they are congruent with science, and knowing we are not joining a weird cult. Paula Raymond-Yacoub, APAM, was the founding chair of the Acupuncture and Dry Needling Group and was a founding member of the Australian Society of Acupuncture Physiotherapists.